Most of us would like to be more influential, wouldn’t we? We’d be better at selling, leading a team, negotiating…almost anything we do in business involves influencing someone. To get there, we need to shape the impact we have on other people. The way they perceive us determines how likely they are to listen to us, agree with us, and follow our lead. You’ve probably known someone who gets his way by sheer force of will, inspiring deference or even fear in the people he seeks to influence. Other people take a softer path—they’re just so warm and caring and likeable that you want to go along with their suggestions. Turns out those two qualities, strength and warmth, are the main criteria by which we judge others, according to communication strategists John Neffinger and Matthew Kohut. Strength is the will and the ability to shape the world around you. It invites respect and even compliance. Undiluted, strength can also look like intimidation or coercion. You may not be surprised to hear that biologically, strength is connected to testosterone. Warmth is all about empathy and caring and making people comfortable. It invites affection and a sense of belonging. Taken to extremes, warmth can come across as submissive and people-pleasing. And yes, it’s associated with estrogen and oxytocin. Of course, it’s not that easy to hit a balance between strength and warmth. They’re in direct tension with each other! And most of us have a natural tendency toward one or the other. Whether that’s by nature or nurture, who knows? 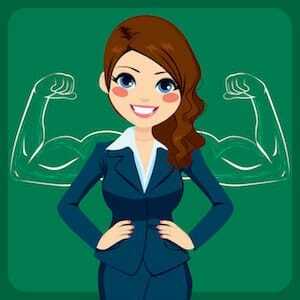 But generally, men are more likely to project strength and women are more likely to seem warm. You may already be thinking about which quality feels most familiar to you. As people get to know you, are they struck by the strength they perceive? Or are they drawn to your warmth? Either way, you’ll have more influence if you cultivate the quality that’s less automatic for you. If you’re thinking, “I’m good with that strength thing, but how the heck do I make myself warmer?” here are a few suggestions for creating a perception of warmth. Yes, it may seem obvious, but smiling is one big way to demonstrate warmth. Engage in conversation, with an emphasis on listening to the other person and validating their feelings. Tilt your head. It exposes your neck and that conveys vulnerability. Maintain an upright posture—spine straight, shoulders back and down, head up. Taking up more space makes you look larger, and that’s associated with dominance. Open up the space between you and them. Keeping a bit of distance and giving yourself room to use big gestures will convey strength. Use crisp, direct sentences with no fillers like “um” or “uh.” The silent pause between thoughts makes you sound strong and sure of yourself. If you’ve heard me speak about speaking, you know I believe masterful speakers command the room and connect with the individuals in their audience. Like the authors, I find most people have a natural bent in one direction or the other…I offer my clients specific steps to amplify the quality that’s less natural for them. You might think of it as a dance between command and connection. What about you? Do you lead with strength or warmth? Post a comment below and tell us what might you do to create that balance that makes a person charismatic? As always, a great analysis of a tricky subject. For me, conveying warmth is easy; strength I have to consciously work at. The same applies to enthusiasm (which partners with warmth) and stoicism (which can partner with strength). Seeking balance in how to project all of these qualities is a great 2019 goal. Thanks for another thought-provoking post. Thanks, Jenny. Yes, balance is a great goal…and not an easy one to achieve. Your self-awareness is a good first step. Oh Catherine – you have no idea of how this is truly relevant to an issue I am having at the moment! Thank you! It is so true and I need to follow your tips. Thanks again. My pleasure, Kathy. I’m so glad this was valuable for you. I’m convinced this dance between strength and warmth is not only a key to leadership, but to effective communication. Also, Al Capone’s take on it cracked me up. You know, Linda, I thought twice about including Chicago’s most famous gangster–it occurred to me that someone might think I was seriously endorsing his approach. It struck me as funny enough, though, that in the end, I couldn’t resist. Glad you dug this one!